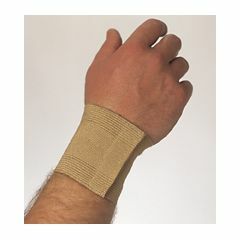 Adjustable Wrist Brace provides wrist with even compression and support. Helps alleviate swelling and stiffness. Aides in pain relief due to joint injury or muscle weakness. One size fits all.